The summer months are upon us, and what's so great about that you ask? Well, certainly not the super hot heat, nor the bugs. But what is great is summer bbqs with your friends and family, all the beautiful flowers, and everything lemon! Oh my, I do love lemon. I also happen to like coconut. 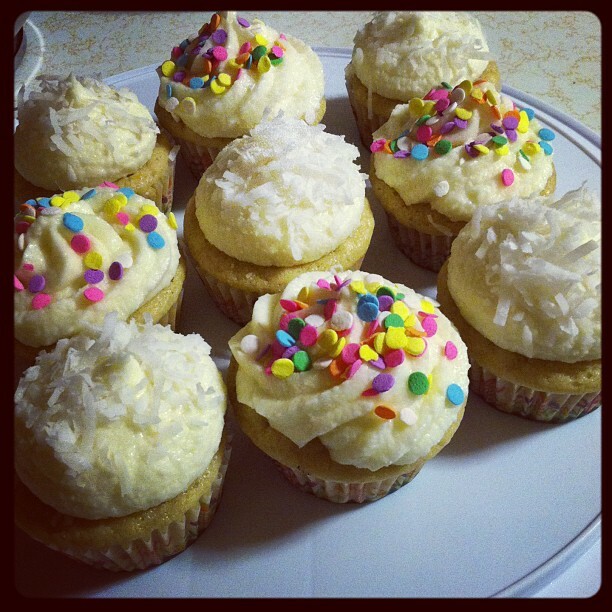 I know some people don't, so with this cupcakes I only put coconut on a few of them. They were a huge hit and I am glad they were enjoyed by everyone.